We strive to make Virtual reality hassle free. Crafting realistic Real-time virtual reality experiences affordably and reliably. Working across multiple sectors and almost any platform. We guarantee visual quality approaching, if not rivalling most traditional renders while maintaining a high level of interactivity.  We provide a complete virtual reality package, capable of working on any VR ready device mobile/PC. Giving you the content you need hassle free at a great price. We deliver virtual reality experiences reliably and seamlessly, Our preview system enables you to track our progress, Keeping you reassured. For Architecture, Real estate and interior design. From Furniture, Technology, Advertising, Engineering and much more. Highly interactive experiences for medical, education and other unique services. Using a new technology can be tough and unpredictable, not knowing how the process works and what or where to look for in terms of quality and price. We help remedy this with our visualisation background, operating like a traditional visualisation studio, adapting a tried and true workflow, so you know what to expect. After finalising the design we commence VR production and make your vision come true. During this step we will implement any interactive features and get the content working on your desired devices. We guarantee the project will be delivered on time to meet the arranged deadline.